PHOENIX - An appeals court sided with advocates for young immigrants who argued that Arizona's policy of denying them driver's licenses even though they had work permits under an Obama administration policy violated their equal protection rights. The 9th U.S. Circuit Court of Appeals agreed the young immigrants were harmed by unequal treatment by the state and blocked Arizona's policy in its ruling Monday. The appeals court said the advocates also showed a likelihood that the immigrants would be harmed by the state's denial. The Obama administration in June 2012 took administrative steps to shield thousands of immigrants from deportation. Applicants must have come to the United States before they turned 16, be younger than 30, have been in the country for at least five continuous years, be in school or have graduated from high school or a GED program, or have served in the military. They also were allowed to apply for a two-year renewable work permit. Gov. 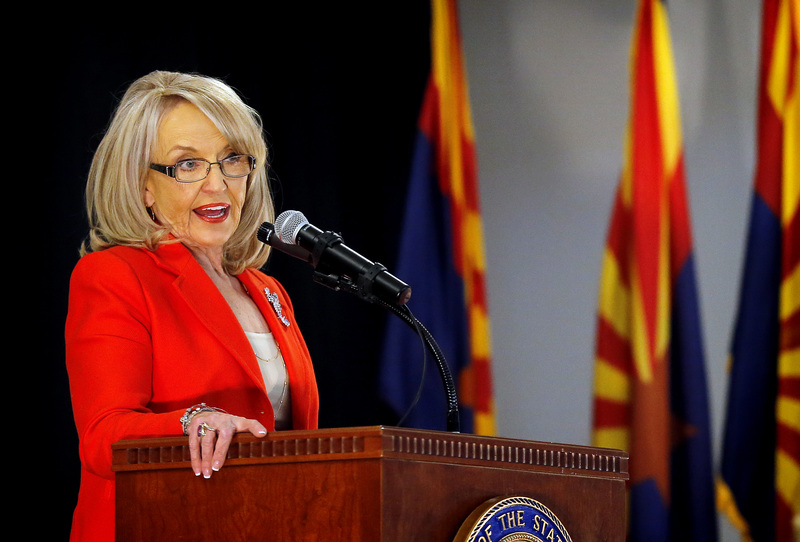 Jan Brewer issued an executive order in August 2012 directing state agencies to deny driver's licenses and other public benefits to young immigrants who get work authorization under the program. In May 2013, U.S. District Judge David Campbell rejected the argument by immigrant rights advocates who said Brewer's policy was unconstitutional because it's trumped by federal law. But Campbell had said the immigrant rights advocates are likely to succeed in arguing that the state lets some immigrants with work permits get driver's licenses but won't let immigrants protected under Obama's program have the same benefit. The state revised the policy late last summer by saying it would stop issuing driver's licenses to all people who receive deportation deferrals from the federal government, not just young immigrants given protection under Obama's policy. The governor's attorneys argued the revision makes the equal-protection arguments moot. But the immigrants' lawyers said the revision was a clear attempt to undermine their equal-protection claim and that, despite the state's claims, the state is still giving licenses to some people with deferred deportation status, such as certain immigrants who are domestic violence victims. The governor's attorneys said the driver's license policy grew out of concerns over the liability of giving licenses to people who aren't authorized to be in the country and reducing the risk of licenses being used to improperly access public benefits. The lawsuit alleges the state has in effect classified young-adult immigrants as not having permission to be in the country and that Brewer's policy is unconstitutional because it's trumped by federal law.